﻿Opel invites everyone to share its exciting and efficient future mobility vision as shown with its new Brand Concept vehicle: the Opel GT X Experimental – a bold, 4.06-metre, 5-door, all-electric compact SUV with coupé appeal and brimming with innovative ideas. The GT X Experimental embodies Opel’s values and vision and lays the foundation for the product side of the strategic PACE! plan presented last November. While profound work on the industrial, financial and sales structures of the company is already leading to increased profitability and efficiency, Opel CEO Michael Lohscheller also launched a work stream on Opel’s identity in order to perfectly define what Opel models will be in the future. The GT X Experimental is the first tangible result of this process. “We have a very clear vision of how we will navigate the future using our PACE! plan as our compass. Focus on a strong brand identity defined by our values – German, approachable, exciting – plays an integral role in our return to sustainable success. Our brand concept vehicle shows how these values will come to life in our products in the future. In absolutely breath-taking fashion, our engineering and design teams have sculpted these pillars into the Opel GT X Experimental. It gives a clear idea of how we see Opel’s future mobility offer,” said Michael Lohscheller. Simultaneous to its integration into Groupe PSA, Opel started a wide-ranging and intense process of reflection about itself and its values. Opel can look back on 156 years of industrial existence starting with precision mechanics and almost 120 years of automobile engineering fuelled by the constant commitment to make exciting and relevant innovative technologies accessible to all. Throughout its history, the specific “Opel way” can be summarised with these three values: German, approachable and exciting. As for its future, the brand wants to remain anchored in the most modern and positive expression of its German roots: Opel’s “New German-ness” takes the best of Germany’s traditional values – engineering excellence, a genuine fascination for well-executed machines, an intense focus on functionality, quality and reliability – and enriches them with warmth, open-mindedness and an attitude of genuinely caring about people. Inspired by Opel’s innovative spirit, the new GT X Experimental captures the essence of the company’s rich heritage and promises an exciting future. It blends German engineering excellence, precision and quality with cool and visionary innovations to give a preview of what Opel cars will be in the mid-2020s: bold, pure in appearance yet extremely approachable and customer-centric. 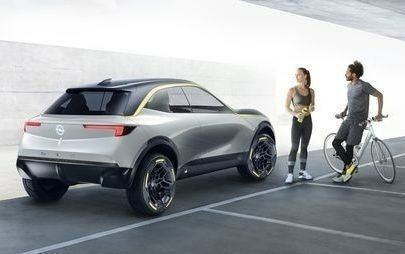 Opel decided to symbolically embody its vision for its future automobiles in a compact SUV of just 4,063 millimetres in length (wheelbase: 2,625 mm; width: 1,830 mm; height including antenna: 1,528 mm). The Opel GT X Experimental is built on a lightweight architecture, has a reduced footprint and drives on 17-inch wheels that visually look much larger, so as to maximise road comfort but also look stunning. Reflecting the PACE! plan promise of offering electrified versions of each Opel model as soon as 2024, the GT X Experimental is a fully electric car with power delivered by a 50 kWh, compact next-generation lithium-ion battery with inductive charging. Focusing on making innovations accessible, it does not pretend to offer full autonomous driving but has Level 3 autonomous driving functions – meaning it can handle all aspects of driving but the driver must be able to respond to a request to intervene. ﻿The GT X Experimental embraces the complexity of future technology while presenting it with sophisticated simplicity. Vice President Design Mark Adams and his team have developed a whole philosophy for Opel’s specific, German design, blending purity with emotional boldness. In the GT X Experimental, each usual function, each module of an automobile has been questioned with the aim of achieving purity of design by removing all unnecessary design elements. This is something the design team calls “visual detox”. The Opel GT X Experimental body shows bold proportions coupled with beautifully structured, pure flowing surfaces. Its strong silhouette is accentuated by the bold graphic identity separating the upper and lower areas. The lower section is painted in a luminous light grey, and the whole upper part including the hood, glass and roof are in an almost black, night blue. Between these is a bold Opel yellow signature accent that flows through the car to give it structure and dynamism. This colour scheme re-visits Opel’s traditional grey/black/yellow colour but reconfigures it to create a fresh modern feel. The GT X Experimental welcomes passengers with spacious, unobstructed access thanks to rear-hinged rear doors and all four doors opening wide to 90 degrees to give the concept an approachable character. The sweeping panoramic windscreen/roof reaches far back to the rear seats, enhancing the SUV’s light and open sense of spaciousness. Opel designers have also reduced the traditional, so-called “cut lines” in the bodywork – made necessary by the different openings such as doors and bonnets – to an absolute minimum. The upper cutline of all doors is hidden in the yellow accent and the one of the rear doors coincides with the opening of the boot. Forgoing conventional elements such as door handles and exterior mirrors, the body is a smooth canvas that wraps around surprising details such as small cameras embedded in the yellow graphic lining the sides of the bonnet pop out, replacing the exterior mirrors. To counterbalance this visual detox, rare graphical details energise the appearance of the GT X Experimental. Cropped triangles are engraved along the sill under the driver’s side rear door: one of them contains a small, hexagonal LED screen that shows the electric charge level of the battery. The 17-inch wheels look much bigger thanks to robust rubber covers that flow over the rim to visually enlarge the size of the dark blue tyres. Yellow graphic lines on the rim echo the yellow signature accent of the body and surround the electronic Blitz emblem that stands still as the wheels rotate. And to underline the SUV character of the car, protective cladding wraps around the lower body, giving the GT X Experimental’s solid, robust stance a rugged look. The GT X Experimental also reveals the new theme for the front and the rear fascia of future models for the first time. The “Opel Compass” organises the design elements along two strong axes that intersect the Blitz. The legendary brand emblem is now the focus point more than ever before. In a crisper and purer execution, the centre-crease line on the bonnet represents the vertical axis, which is prolonged under the Blitz. The horizontal axis is symbolised by the Opel-typical wing-shaped daytime running light signature, which will continue to feature on all future Opel vehicles. The rear echoes the front fascia and shows the Opel Compass in its purity, with the Blitz solidly anchoring the horizontal line of the wing-shaped rear lights and the vertical line from the roof fin antenna to the accentuated crease in the bumper. Following the theme of the Opel Compass, designers have also created a new Opel face that expresses the company’s pioneering spirit: the “Opel Vizor”. The Opel Vizor is a full, single module that frames all of the high-tech and brand elements such as the LED Blitz emblem that shows the car’s operation state by lighting up in different colours, the LED matrix headlights, the wing-shaped daytime running lights as well as all cameras and sensors of the assistance systems and autonomous driving functions under darkly tinted Plexiglass. The elegant module boldly stretches across the front of the car right under the bonnet. 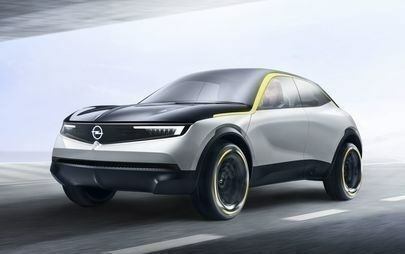 The new, distinctive Opel Vizor is set to be a hallmark design element for all Opel models later in the 2020s. The airy interior of the Opel GT X Experimental follows the same principles as outlined above and opts for visual and digital detox. Surrounded by the panoramic windscreen/roof and uninterrupted side-window, the cabin’s sleekness masks the innovations it holds in store. The interior’s standout feature is the instrument panel encased in a module that mimics the Opel Vizor – the Opel “Pure Panel”. One wide, single screen welcomes drivers and shows that the multitude of screens, buttons and controls often seen in current-day production vehicles could become obsolete. The Pure Panel enables drivers to have access to the latest technology and get the information they need while eliminating all visually distracting elements. Pure Panel also shows how Opel allows technology to simplify customers’ lives. Two screens on the far left and right of the front panel display the side views captured by the small pop-out cameras. Elsewhere, the design of the steering wheel has been simplified while its centre module repeats the shape of the Opel Vizor. And, like its counterparts on the wheels, the LED Opel Blitz on its centre remains upright whatever the steering position. The name of the GT X Experimental is reminiscent of Opel’s pioneering concept car, the 1965 Experimental GT – an accessible coupé that was also the first concept car ever produced by a car manufacturer in Europe. The additional X underlines Opel’s plan to further develop its footprint in the SUV market: 40 per cent of all Opel cars sold in 2021 are to be SUVs.